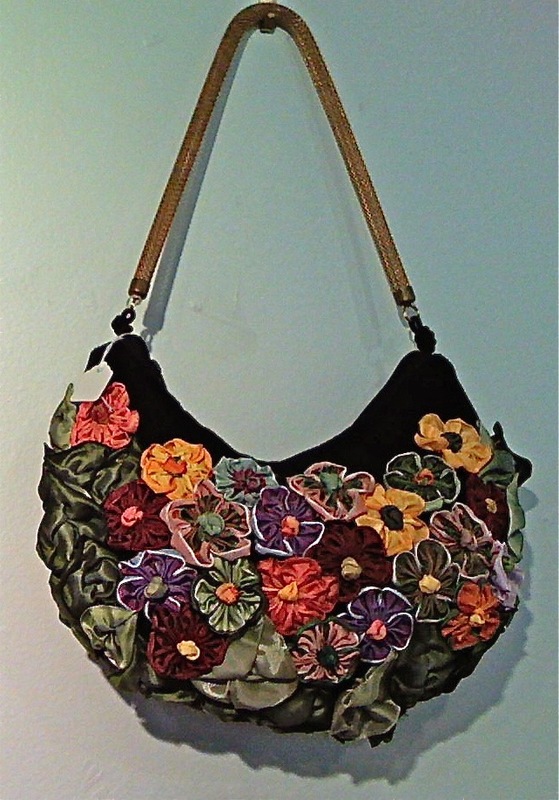 > Last weekend at the Ballard arts fair Seattle Sampling I saw amazing fabric bags by the Woodway artist Constance Lee. They are far sturdier than most designer handbags, though just a little bit too fancy to be everyday bags. I guess the best way to describe them is to say that they make you wish you lived the kind of life in which one of them could be your everyday bag. Lee had also created a few very elegant smaller bags for holiday parties, one of which you see pictured here. She doesn’t have a website, but I did find websites that mention her work and have contact information.